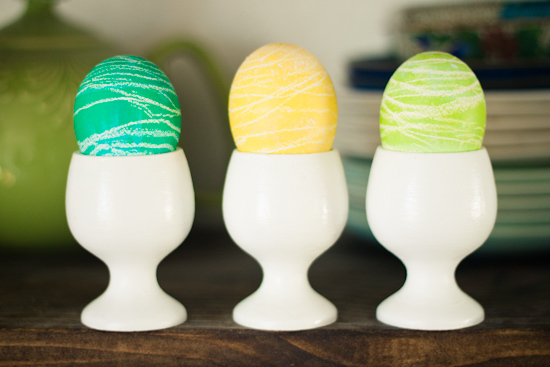 Strawberry Chic: 4 Fun Ways To Display Your Easter Eggs! 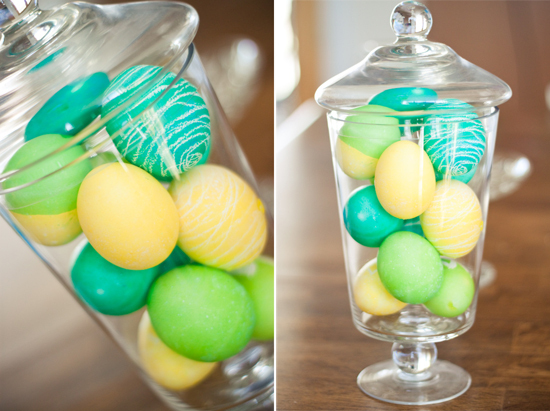 4 Fun Ways To Display Your Easter Eggs! It's a shame to spend so much time dying eggs when they end up going straight to the fridge until they are ready to place in an Easter basket. A few days ago we were able to dye our Easter eggs and it was so much fun! With all that has been going on lately, I didn't have time to do anything extravagant like I did last year with the Onion and Tie Dyed eggs. So, we went the old fashioned route and bought the plain old box dye from the grocery store. I think they still turned out pretty nice! 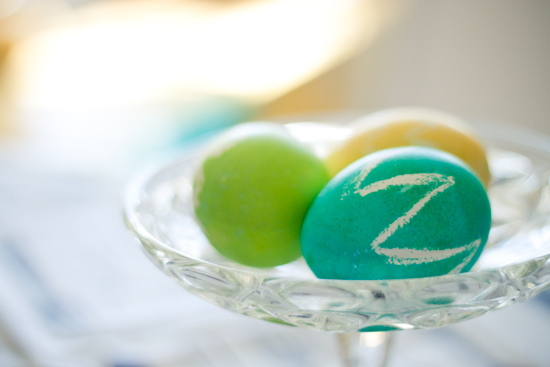 I used a white crayon to make the designs on the eggs before dying them. They look so pretty and sophisticated in these displays. Lovely colors. Wow, amazing! So bright and pretty... love these! 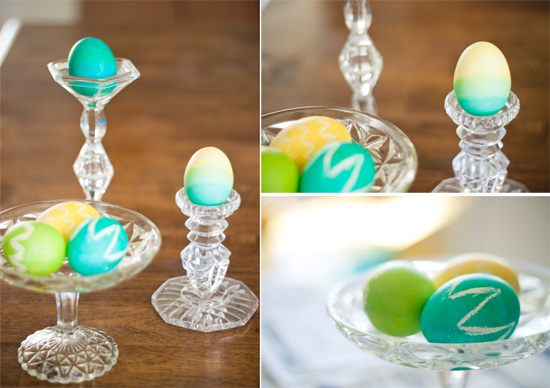 I love the blues and greens of your eggs! And they're displayed so pretty - I like them in the apothecary jar and what I think are candlestick holders! you're a great author. I will always bookmark your blog and will eventually come back someday. I want to encourage one to continue your great work, have a nice morning!
) I deal with such information a lot. I used to be seeking this certain information for a very lengthy time. to read this website, and I used to visit this blog every day. by no means understand. It sort of feels too complex and extremely vast for me. I've read this submit and if I may I want to recommend you few fascinating issues or tips. Perhaps you could write subsequent articles referring to this article. I want to learn more things approximately it!